Birthday Banner – Bitten off more then I can chew? 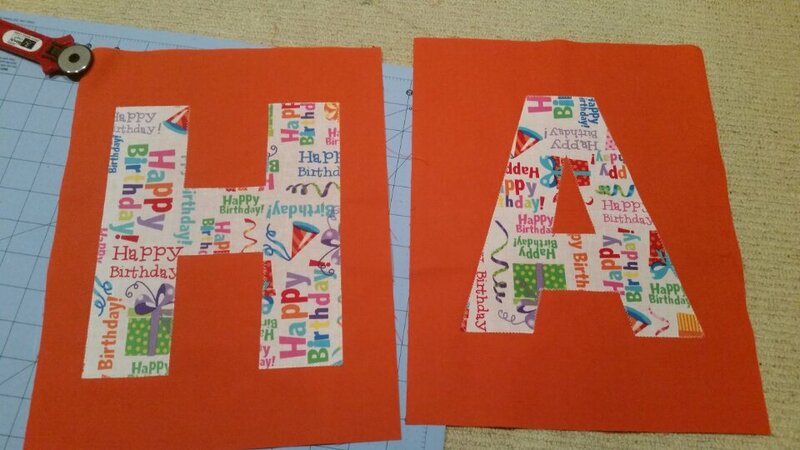 With a couple of birthdays coming up this month, I wanted to knock up a colourful birthday banner. Each rectangle measures 10 x 13 inches. Each one takes 40 minutes to do. Let me do a quick count… that’s 13 letters and then another small banner each for each person. It will be a miracle if I get it finished in time. This entry was posted in Sewing/Crafts by Yas. Bookmark the permalink.